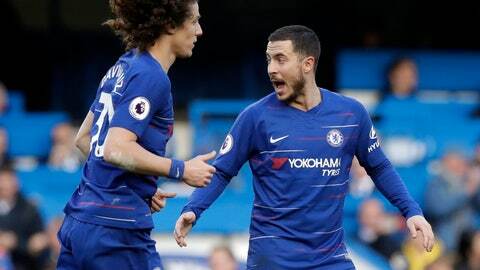 LONDON (AP) — Eden Hazard’s stoppage-time strike for Chelsea recovered a 1-1 draw with Wolverhampton in the Premier League on Sunday. Hazard scored his 13th league goal of the season to cancel out Raul Jimenez’s strike in the 56th minute. The dropped points are a blow to sixth-placed Chelsea’s hopes of making the top four Champions League qualification places.